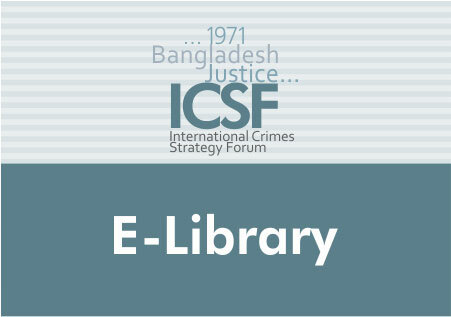 [ICSF] E-LibraryJournal ArticleNotice Otherwise Given: Will ‘in absentia’ trials at the Special Tribunal for Lebanon Violate Human Rights? Notice Otherwise Given: Will ‘in absentia’ trials at the Special Tribunal for Lebanon Violate Human Rights? from the ECtHR. The final Part discusses the implications if the STL's in absentia trial provisions are found deficient for the STL, the U.N., and for subsequent tribunals. The Article concludes that the STL's in absentia trial notice provisions would violate human rights norms and that those violations are not likely to be remedied by a right to retrial before a tribunal of finite duration. Ultimately the Article determines that the STL's in absentia trial provisions were in a sense purchased at a price that will be paid by the international community.